Unlike Android phones, Apple builds both hardware and software for iPhone. iOS for iPhone and iPad is considered the best mobile operating system in the world. It offers easy to use interface that is both intuitive yet very functional. iOS users know the functioning of their device softwares pretty well, but there are some less known tricks, tips as well as hacks available for iOS. These tricks, hacks and tips for iPhone / iPad will tell you about features of iOS as well as tricks that you didn’t know existed. This will help you make the best of your Apple device and make you a techie user. Using these hacks, tips and tricks for iPhone, your life will be much simpler and you can use your device to its full potential. Here we have a list of top 10 best hacks, tips and tricks for iPhone which you can try on your iPhone / iPad. 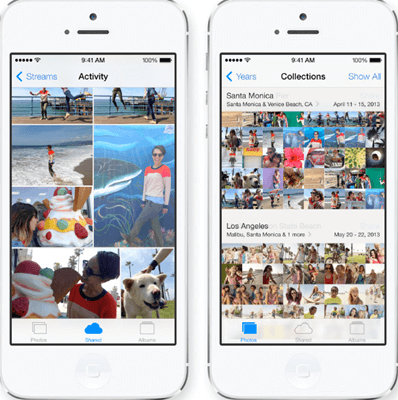 Hacks, Tips and Tricks for IPhone. 1. Hide your iPhone dock. 2. Zoom Unlimited in Photos. 3. Stop Music Automatically with Timer. 5. Save PDF to iBooks. 6. Add Empty spaced on Homescreen. 7. Low Power mode Shortcut. 8. Make iOS keyboard into Trackpad. If you want a clean homescreen without the shaded dock, you can use this simple hack to do so. Visit the following URL from Safari on your iPhone. Tap and hold, select “Save Image” to save the wallpaper. Go to Photos app, and set the downloaded image as Wallpaper. Tap “Still” and set the wallpaper. You can see that the dock background has dissappeared. Note:- This Hack works till iOS 9.3 You cam show your dock again by changing the wallpaper. iOS has a restriction about zoom in photos. There is a limit on how far you can zoom in a photograph. But with this simple little trick, you can get unlimited zoom for your photos. Open the photo you want to zoom. Rotate the image 90° and tap done. Now you can zoom unlimitedly. If you fall asleep while listening to music on your iPhone, you know it may leave your battery dead till the morning. The best trick to use in this scenario, is to stop music automatically with a timer. Most people don’t know this feature exists in iPhone but it is very simple to use automatic timer for music on iPhone. This little tip also works on most kinds of media like audio books. If you are a heavy smartphone user, and keep your phone mostly on vibration, this is a lifesaver trick for you. 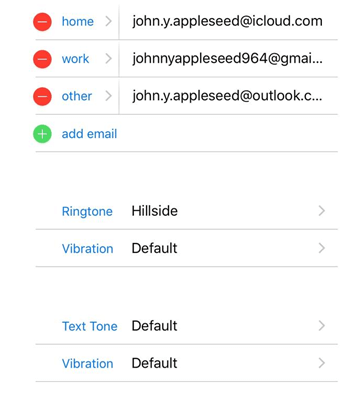 You can set custom vibration patterns for different callers just like you can set custom ringtones. This will help you know who is calling without lookin on screen even on silent. Scroll till you see “Vibration”. Set default rhythm or create your own. 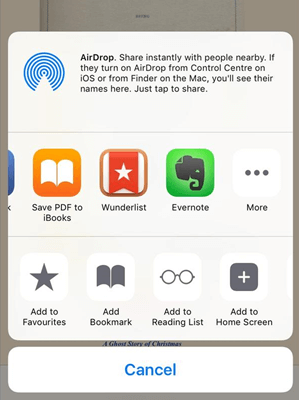 This simple little Tip helps iPhone users to save articles and websites to be saved as PDF in ibooks app. Open the website or article. Scroll in the list of apps to find Save PDF to iBooks. Now you can find your website in ibooks app. This is one of the best hacks in the list of Best hacks, tips and tricks for iPhone. 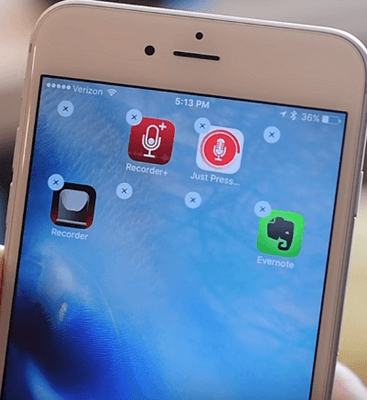 This simple hack lets you add empty spaced between your apps on your iPhone homescreen. Tap and hold on one of your icons on your homescreen to enter edit mode. Scroll to the empty page and take a screenshot. Open the URL on Safari. 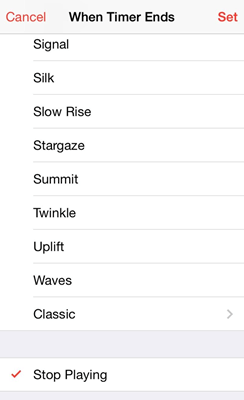 Tap CUSTOMIZE and select CUSTOM Mode. Tap ADD and upload the screenshot you just took. Select the positions you want to have empty spaces on. Now Tap share button and select “Add to Homescreen” . Press Home and correct the position of your blank space. You can use this method to create as many blank spaces as you want. This little trick can be used to create beautiful patterns on your homescreen. Low power mode is a very helpful feature in iOS. It suspends some processes and features to get some more hours out of battery. It is useful when you can’t charge your phone and need to get some more time out of the battery percentage left. 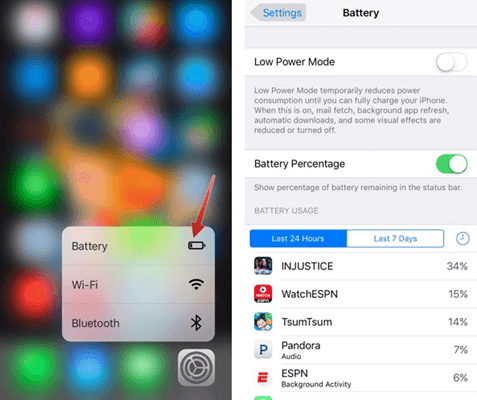 To enable Low Power mode, iPhone users have to go to Settings > Battery and then enable it. But there is shortcut to do so and this Tip for iPhone will tell you how to do it right from the homescreen. 3D touch on the settings icon. From the pop up list, select battery. It makes bery easy to enable low power mode on iPhone. 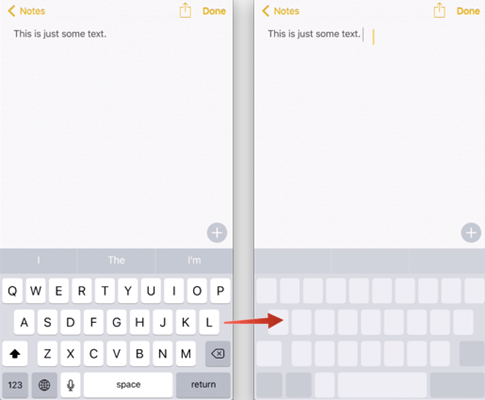 Apple has constantly been working to make typing experience on iPhone better and better. With this simple trick for iPhone, you can turn your iOS keyboard into a Trackpad and easily move your cursor back and forth simply by swiping on the keypad. 3D touch on the keypad till alphabets on the keypad dissappear. Move the cursor by swiping your fingers. Press to highlight a word. Double press to select a sentence. Triple press to select a paragraph. Lift your finger to return to normal keys. This makes typing long emails on iPhone very easy. 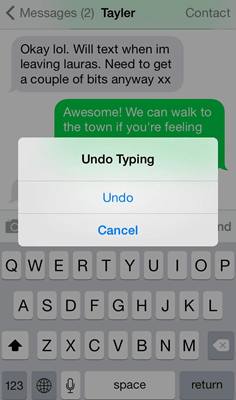 Most iPhone users don’t know this trick but you can easily undo deleted text on iPhone. This can he very helpful if you are typing or editing a long paragraph and accidentally delete some text. Hold on to your phone tight and shake it. You will see “Undo Typing” option on your screen. Rotating your keyboard in landscape mode will show an undo button on the keyboard which can be used to recover deleted text on iPhone while typing. This is a very less used but equally useful feature on your iPhone. 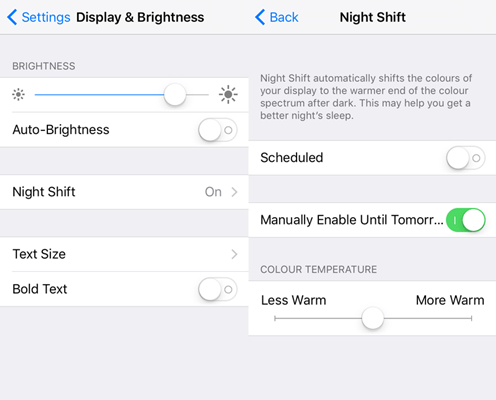 Night shift is used to set warm colors for your iPhone at night to make it easier to use. This is helpful in comforting your eyes at night as well as leads to a better sleep. There are also automatic rules you can set up for the night shift. You can either turn it on manually, or set automatic rules. In conclusion, these are some of the best Hacks, Tips and Tricks for iPhone. If you have any other trick worth sharing or have any suggestions, please write to us on comments below.